The Absence of Grey: Ninety Six Reports of Abuse at Springbook Behavioral Health and I was Clueless!!!! 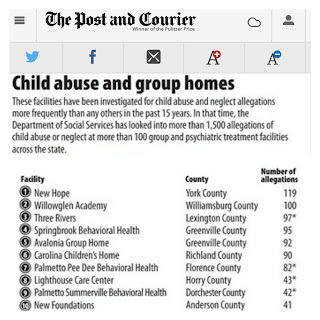 Ninety Six Reports of Abuse at Springbook Behavioral Health and I was Clueless!!!! After over a year of phone calls, letters, tears, and complaints filed, here we are! I'm begging you to share this and keep sharing! 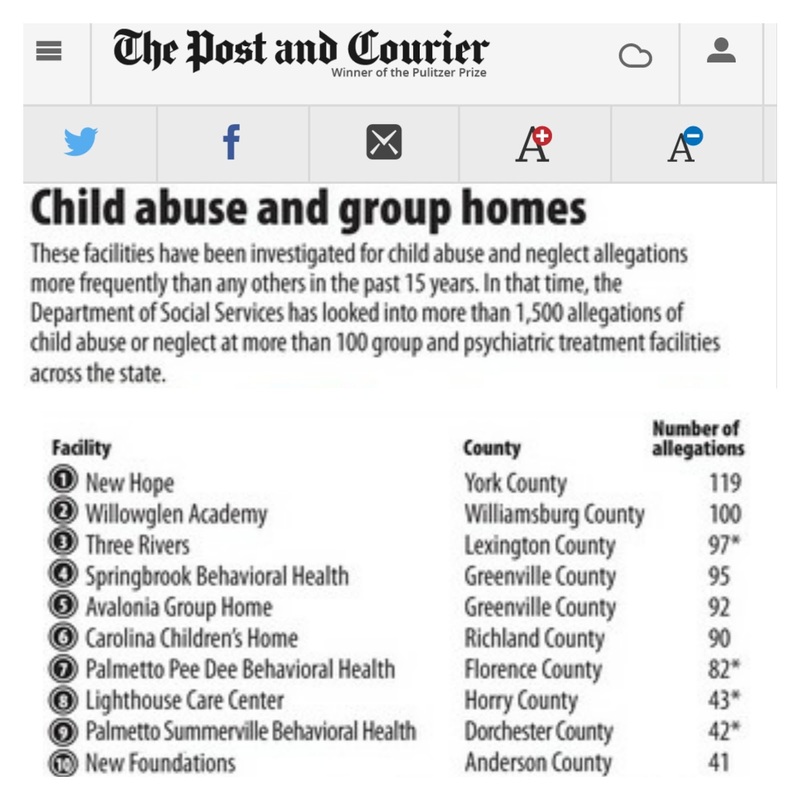 Our most vulnerable children do not deserve the way they are treated by the agencies paid millions of dollars to "help" them or the governments continued efforts to hide behind privacy laws and loop holes to protect institutional child abusers. I agreed to toss out privacy for the sake of safety for my girls and the many children who require out of home treatment in group homes or residential placements or who due to no fault of their own end up in foster care. I am so honored and humbled that Lauren Sausser of the Post and Courier decided to be a megaphone for my voice! Thank you so much Lauren!!!! You can read the story here.